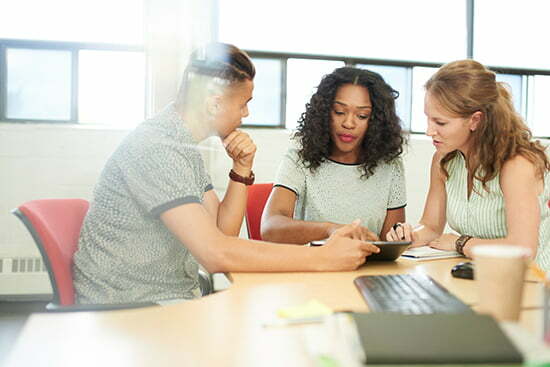 The Best Approaches to Mentoring and Coaching Millennials - Duffy Group, Inc.
Mentoring and coaching Millennial-aged workers isn’t merely a helpful and good-natured thing to do — it’s also an important business opportunity. Millennials have moved into the workplace in force; according to Pew Research, they’ve already surpassed Gen Xers as the single largest demographic cohort in the modern day labor force. Given their outsize numbers and increasing importance, organizations that can effectively reach Millennials and offer them the kind of career development they’re seeking are best positioned to compete for young talent. So what’s the best way to help younger workers flourish? Let’s take a closer look. The circumstances each generation lives under exerts some influence on the sort of people they become. The generation that lived through the Great Depression were known for frugality; the WW2 generation for sacrifice and reticence; Baby Boomers are often linked with personal freedom and the counterculture. While these categories certainly aren’t absolute, they are useful broad brush signifiers. In the case of Millennials, technology (specifically the Internet, social media and mobile) is the force that sets them apart from prior generations. Millennials have grown up in a culture where the concept of privacy has changed and instant feedback is perpetually available online. This is one reason why younger workers are so eager for mentorship. On social media, feedback is instant and often unsparing. Users have metrics to judge where they stand: likes, follows, retweets etc. The conventional office setting, however, is far more opaque. Feedback or constructive criticism tends to be offered at pre-determined intervals (think annual reviews). For younger workers steeped in a culture of immediate feedback, this level of uncertainty can be difficult to manage. Millennials, much more that older workers, appreciate more frequent coaching — and it’s up to organizations to determine the best way to offer it. Businesses seeking to hire and retain the most talented young workers should design a career development program that includes coaching and mentoring. One of the simplest programs to institute involves mentorship that takes place in a group setting and uses technology to help participants define what mentoring means to them. One corporation that uses a similar model is AT&T. Here, workers gather in self-organizing, topic-based groups called leadership circles. By tapping into the company’s online platform, mentors can join groups anywhere, anytime to share knowledge. These groups also allow for peer-to-peer mentoring, which is enhanced by the social component of the online platform. Another clever approach is reverse mentoring, where senior-level staff members are matched with a Millennial-aged worker. In this situation, the benefits flow in both directions. The junior worker has access to the expertise and wisdom of the senior employee. The older worker, meanwhile, is tasked with learning something from the younger partner — perhaps digital media skills. These arrangements have been hailed for allowing workers to see past traditional roles, while also forging relationships. Periodic, informal one-on-one coaching is another smart way to ensure workers feel noticed and valued. Too often organizations slip into the habit of offering feedback or coaching only when the calendar calls for it. If you wait until the end of the quarter (or year) to express appreciation for a worker’s skills, however, you risk losing that worker. A full 63-percent of Millennials report that they feel their leadership skills are not being properly developed; those who report having a mentor, on the other hand, are twice as likely to intend to stay with their firm for more than five years. Career development is critically important to younger workers, as is regular feedback. Creating a coaching and mentoring program is one of the best ways to ensure that your employees feel secure and valued. That, in turn, will help you maintain a competitive edge in terms of recruiting, hiring and retention.